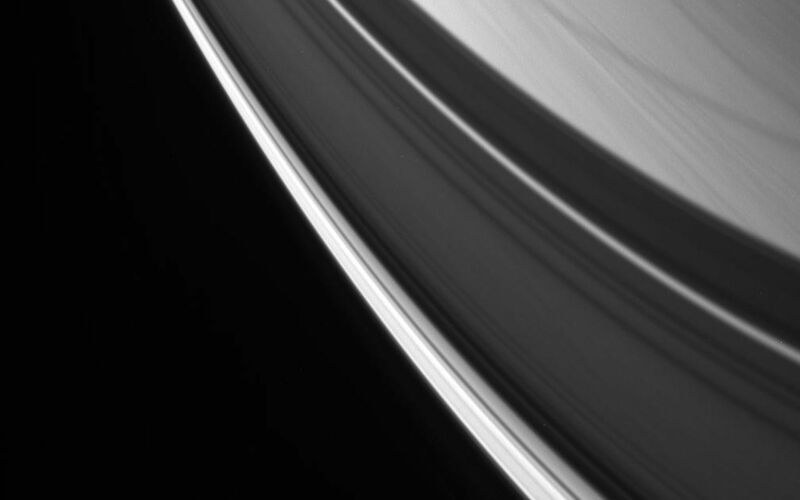 Streaks of cloud are overlain with graceful ring shadows in this view of Saturn's northern latitudes. 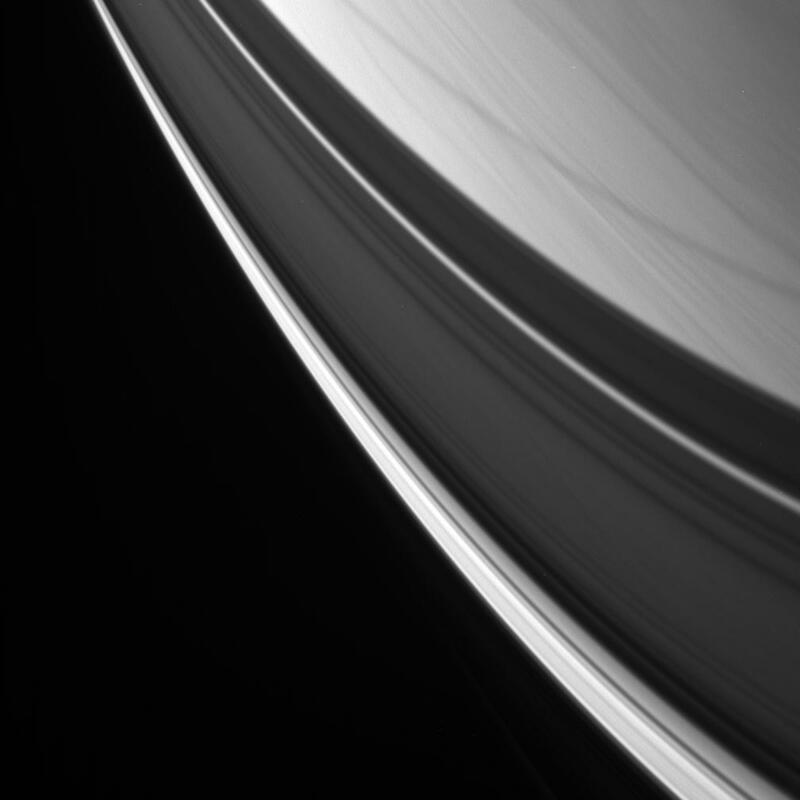 Structure is visible in the shadow of the A ring and Cassini Division, which widen at the highest latitudes, near lower right. 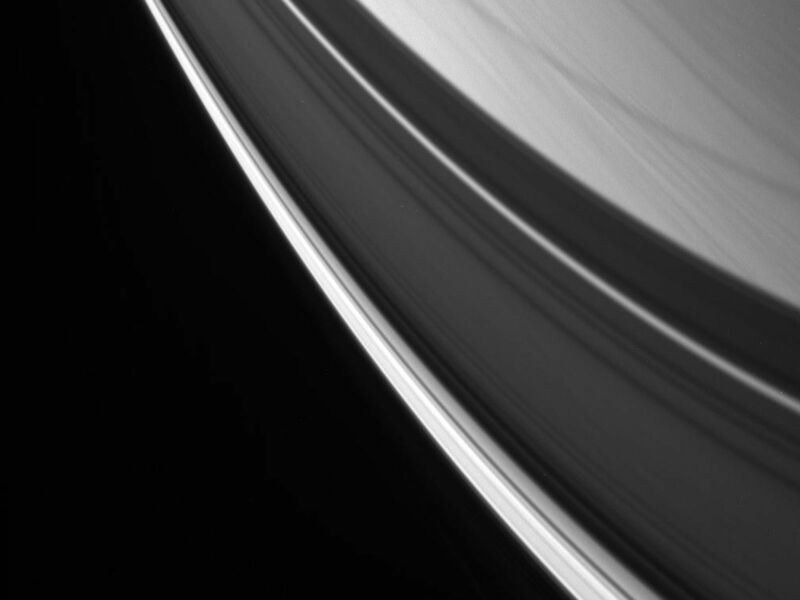 The lower left half of the image does not show the blackness of space, but rather the shadow of the B ring, which is perfectly dark here. The image was taken with the Cassini spacecraft narrow-angle camera using a spectral filter sensitive to wavelengths of infrared light centered at 938 nanometers on Oct. 30, 2006. Cassini was then at a distance of approximately 1.2 million kilometers (700,000 miles) from Saturn and at a Sun-Saturn-spacecraft, or phase, angle of 142 degrees. Image scale is 7 kilometers (4 miles) per pixel.